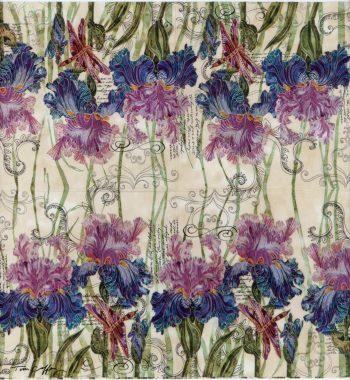 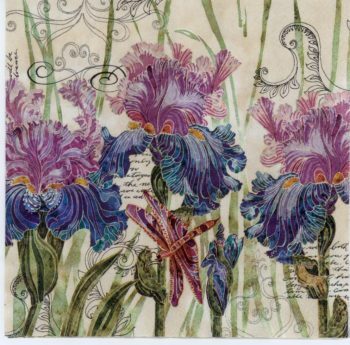 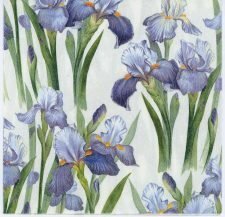 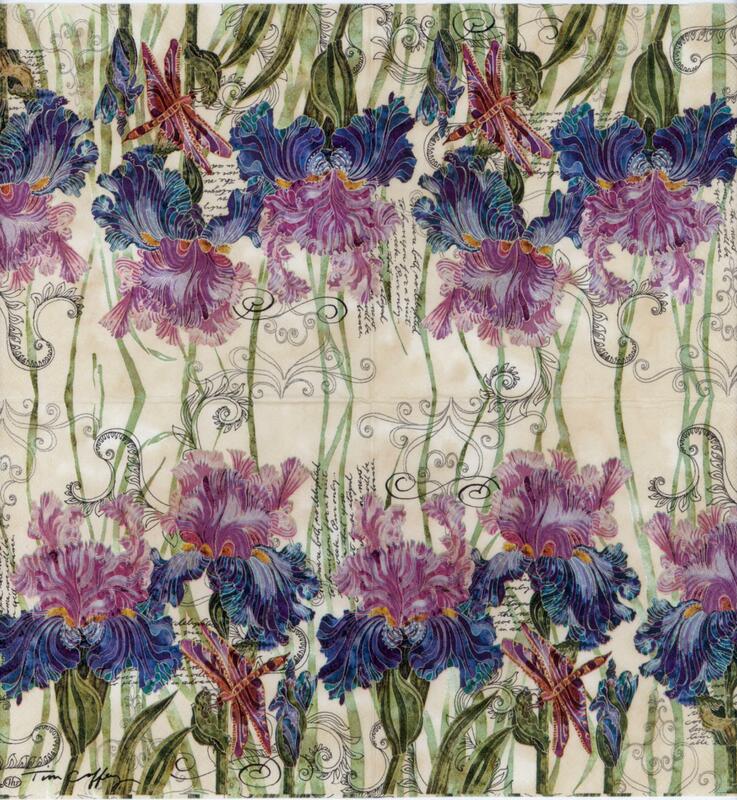 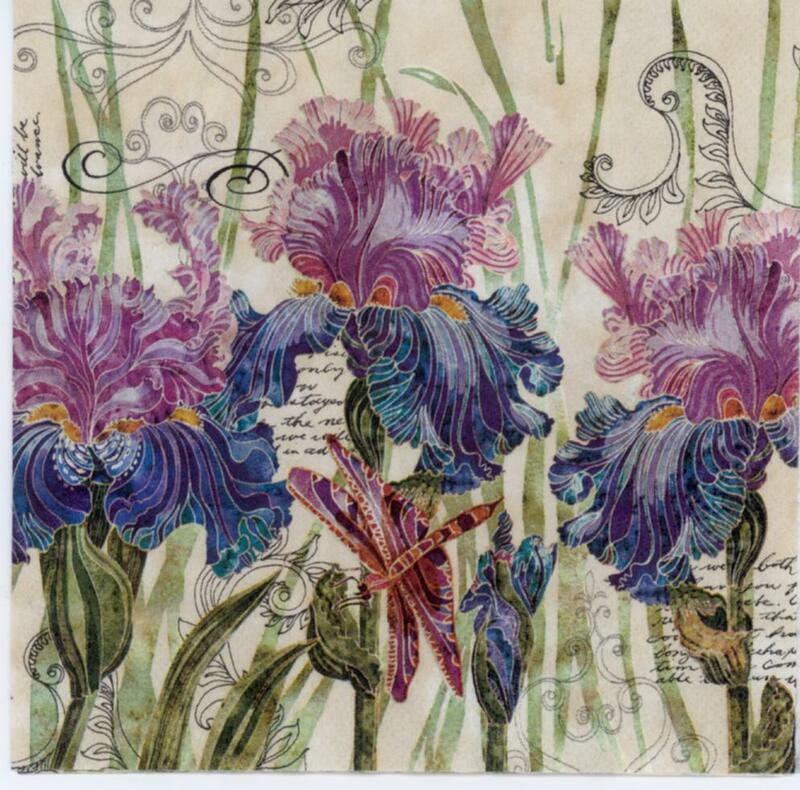 Napkin decoupage with Iris in the purple passion, printed in Germany on 3-ply paper. 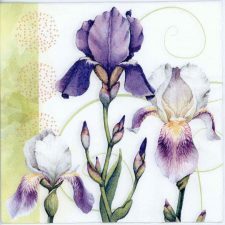 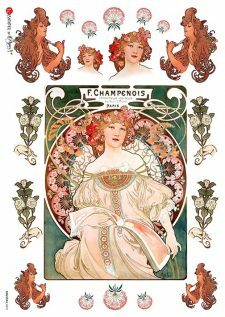 These are perfect for paper arts and crafts of many kinds,including collage and decoupage on glass, wood, candle, scrap booking , mixed media, and DIY projects. 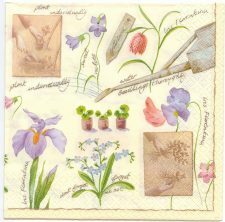 Each napkin measures 13″ x 13″ (33 x 33 cm).